Unsecured bonds, (also called “debentures,”) are certificates of debt (usually interest-bearing or discounted) that are issued by a government or corporation in order to raise money. Such types of bonds are not secured by a specific asset, but are backed only by the creditworthiness and reputation of the issuer. The investor only has the issuer’s promise to repay, but no claim on any assets of the defaulted issuer. Unsecured bonds may be issued at a discount to the face value, or they may pay interest at regular periods of time. If an unsecured bond is issued at a discount, the difference between the purchase price and the face value represents the interest on the bond. If a bond is purchased at the face value, the interest paid represents the investor’s return. The interest can be paid over time or in a lump sum at the end of the bond’s term. Companies generally issue unsecured bonds if they do not wish to issue additional stock. Unsecured bonds naturally carry higher credit risk than secured bonds, and consequently, they usually offer higher yields than their secured counterparts. If a company issuing debentures liquidates, secured bonds owners are paid first, followed by straight debenture-holders, and finally, owners of subordinated debentures. Subordinated debenture are riskier than straight debentures and secured bonds, but offers greater income potential through higher interest rates. U.S. Treasury bonds are unsecured bonds, which are issued with the full faith and credit of the federal government. They are generally regarded as the lowest risk investment in the world, and are very popular with investors. General obligation municipal bonds are also unsecured bonds that are backed only by the creditworthiness of the issuing city or state. In the event that the issuing municipality cannot repay its debts to bondholders, it may have to raise taxes or sell some assets to generate revenue. Income bonds also fall in the category of unsecured debt because only the face value of the bond is promised to be paid to the investor. The issuer is not bound to make coupon payments on a timely or regular basis. Convertible bonds are also structured as unsecured debt. If the issuing company were to become bankrupt and default on the bond, secured straight debt holders have priority on the company’s assets over those of convertible bonds. Investors should be aware of the various risks associated with an unsecured bond before investing in it. The greatest risk with such type of bond is the risk of default. Another inherent risk is interest rate risk, in which the bond price decreases due to a rise in interest rates. In addition, an unsecured bond with a fixed interest rate is subject to inflation risk if the interest rate of the bond does not keep up with the rate of inflation. 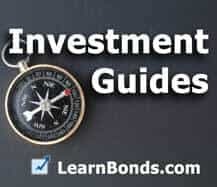 Depending upon risk tolerance, an investor may choose unsecured bonds if they offer high current income. However, it is recommended that investors fully understand the risks involved, and thoroughly read the prospectus of the security prior to the purchase. Learn how to generate more income from your portfolio. Get our free guide to income investing here.